Hello and welcome to the newly opened website of Solar Guitars. A new electric guitar brand founded by Ola Englund of the Haunted. Feel free to browse through the site, check out some of our videos, and maybe even purchase a Solar Guitar today. 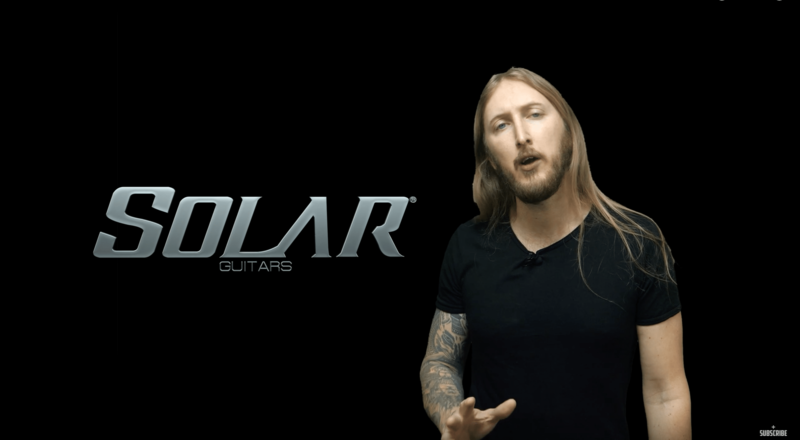 Guitarist Ola Englund, recognized as a member of notable Swedish metal groups The Haunted and Feared, is very proud to announce the launch of his new company, Solar Guitars. Utilizing Ola’s extensive knowledge and experience, Solar Guitars is focusing on the needs of the rock/metal touring and home recording guitar player as well as beginner and guitar enthusiasts in general. “It has always been all about designing a modern, sleek and simply elegant guitar that is easy to play and sounding absolutely awesome with any gear or studio recording being thrown at me. I finally created what, for me, has become the ultimate songwriting and touring companion,” says Ola Englund. The Solar Guitars line consists of four different Types currently totaling 15 different models. Type A and S are both double cutaway guitars, Type V and E are aggressive shaped metal guitars. Every Solar guitar is loaded with an arsenal of unique features depending on type and model. Features include full access set neck joint, Evertune bridge, Floyd Rose bridge, tremolo spring silencers, 34 mm brass block tremolo, Grover 18:1 tuners, Duncan Solar pickups, super jumbo frets, D’Addario NYXL strings etc. Artists like At The Gates, Necrophobic, The Haunted, Daniel Bergstrand and The New Black among others are on the growing Solar Guitars artist roster. Solar Guitars’ street prices range from USD/EURO 599.00 – 1,299.00 and are immediately available from the Solar Guitars web-store: www.solar-guitars.com, and selected dealers. Solar Guitars is owned by Solar Guitars, S.L., located in Sant Gregori, Spain. Solar Guitars, S.L. is an international guitar company that manufactures and distributes products worldwide.